After his death, Buddha's ashes were placed in a stupa. 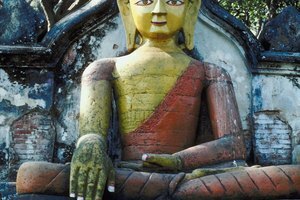 Although many do, not all Buddhist funerals follow the example of Buddha, who according to religious texts, died, was cremated and had his ashes placed in a stupa, a mound-like structure containing Buddhist relics. 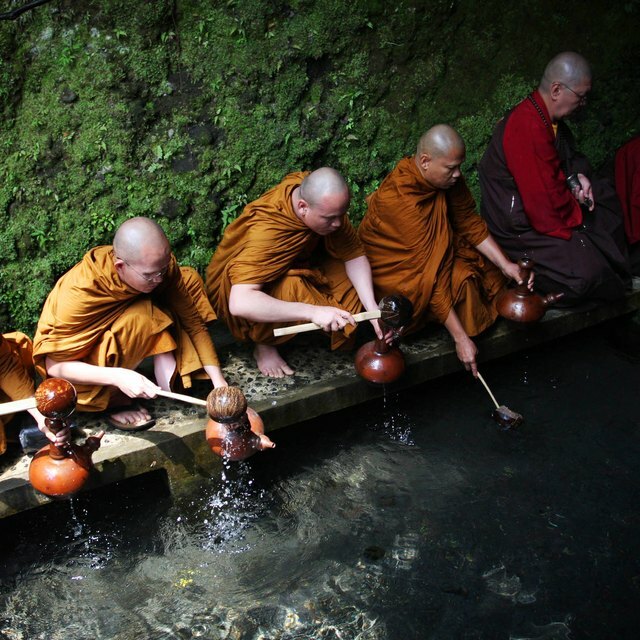 Traditional Buddhist funeral customs vary by geographical region. While cremation and a subsequent scattering of ashes is common, it is not mandatory. In some places, such as Japan, it has been traditional for centuries to bury ashes in the ground beneath a formal grave marker. However, in other Buddhist regions, such as Tibet, ashes are generally scattered over a body of water such as a river or the ocean. Buddha is said to have died in northern India, in Kushinagara, a town located in present-day Uttar Pradesh. His body was placed on a funeral pyre, a structure used to cremate a body, and after seven days, set ablaze in a process of cremation. His ashes were then placed in a stupa. 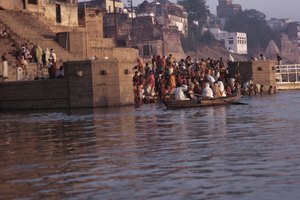 In Tibetan Buddhism, cremation and ash scattering over a body of water such as a river or the ocean is a common funeral practice, mainly because it is a much less expensive way of disposing of human remains than entombing them in a stupa or conducting a 'sky burial,' where sections of the body are tossed up into the sky for vultures to carry away. Because the body has no particular significance, ash placement is considered to be a personal matter for the family. Therefore, depending on the rank of the deceased, ashes may be placed in stupas for an especially important individual, or tossed into the sea for someone of an ordinary station. Due to spatial constraints, the authorities in Japan have been actively encouraging the practice of cremation and ash scattering over the traditional five-tiered stone monument burials. These five-tiered stone monuments, known as "gorinto," are concentrated primarily in Kyoto. Each tier of the gorinto represents the five elements of the Buddhist univese: earth, water, fire, wind and sky. The argument over what constitutes a traditional Buddhist ceremony has been complicated by centuries of gravesite ash burial in Japan and an inconsistent view of traditional burial practices from many of the Buddhist monks themselves. The idea that scattering one's ashes in the sea is an acceptable Buddhist method of burial has been gaining popularity in Japan thanks to the efforts of politicians and other public figures, who have been filming themselves participating in ash scattering ceremonies in order to debunk any lingering fears that ash scattering is somehow uncouth or otherwise socially unacceptable. 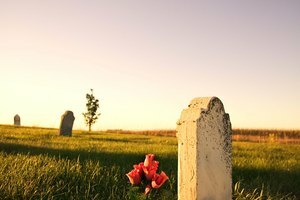 The tendency to bury ashes as opposed to spreading them in Japan has been associated with a mark of respect for the dead; however, Buddhism makes no particular spiritual distinction about where the ashes are placed. 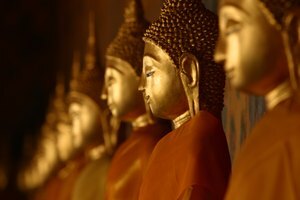 Whether or not the ashes of the cremated body are placed in stupas, the sea or a permanent grave site, Buddhists do not believe that the soul returns to the ashes. Because most Buddhists are on a journey whereby the soul reincarnates in different form until it reaches nirvana, any one body is merely a vessel, or 'carrier of the soul.' When the body has aged and run its course, the soul is said to be released to go on to its next stage of journey. Julia Lai is a frequent contributor to Los Angeles-based arts and literature publications. She graduated from University of California, Los Angeles with a bachelor's degree in history and has been writing professionally since 2008. Lai, Julia. "Buddhism Funeral Traditions for Ashes." 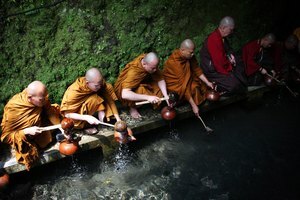 Synonym, https://classroom.synonym.com/buddhism-funeral-traditions-for-ashes-12087443.html. 29 September 2017.